Normal life was hit in several parts of Manipur Thursday following a 24-hour general strike called by a conglomerate of 66 organisations against the Citizenship (Amendment) Bill. Demonstrations are being held at various place in state capital Imphal, and Thoubal and Lilong towns in Thoubal district and the headquarter towns of districts such as Churachandpur and Kangpokpi, the officials said. The strike was called from Wednesday midnight by the recently-formed Manipur People Against Citizenship Amendment Bill (MPACAB), with representation from 66 organisations. The grouping has demanded the withdrawal of the Bill. Educational institutes and commercial establishments remained closed in many districts, while vehicles were off the road, officials said Thursday. Security personnel were deployed across the state, they said. 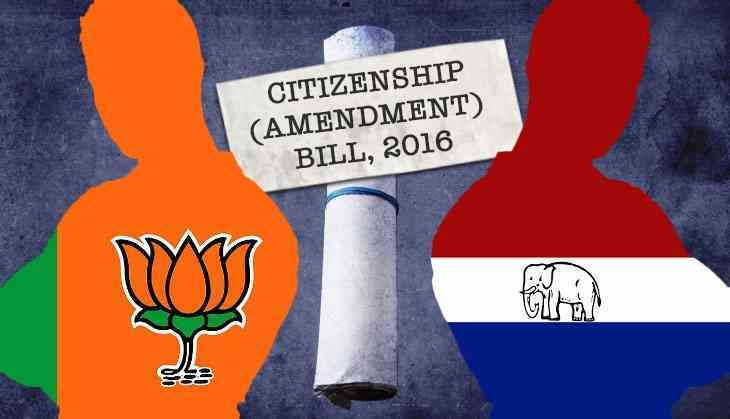 The Citizenship (Amendment) Bill, 2016, which was passed in the Lok Sabha on January 8, seeks to provide Indian citizenship to non-Muslim nationals from Bangladesh, Pakistan and Afghanistan after six years of residence in India. The Bill has triggered protests across the North Eastern region. The 66 organisations of the MPACAB include All Manipur United Club Organisation (AMUCO), United Committee Manipur (UCM), Kuki Inpi Manipur (KIM) and Manipur Muslim Welfare Organisation. Chief Minister N Biren Singh on Wednesday had appealed to the people not to panic over the Bill. "The apprehensions of the people need to be removed first and the Centre will be urged not to let the bill impact the state," he had said.